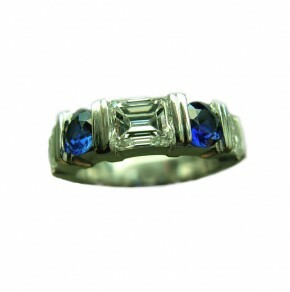 An Emerald cut diamond and blue sapphire guard ring. 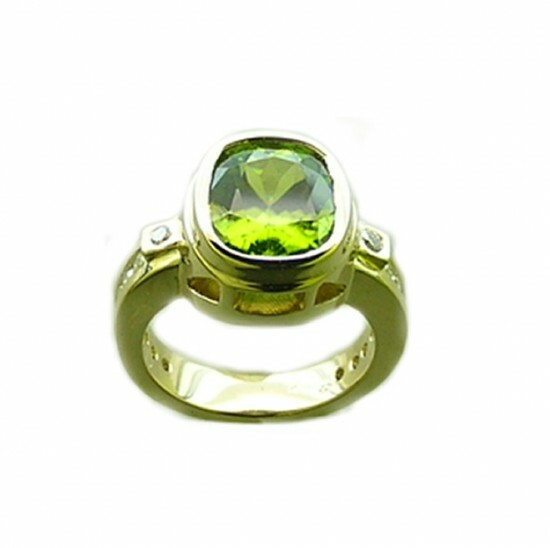 Diamonds are top white color, sapphires are fine bright blue. In platinum, with split channel detail between stones. 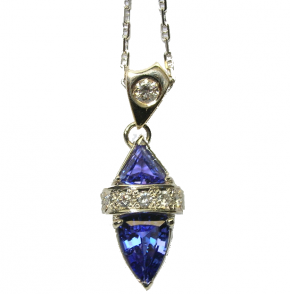 This is new tanzanite and diamond pendant. Triangle cut blue/purple stones, 1.50ct and .65ct. 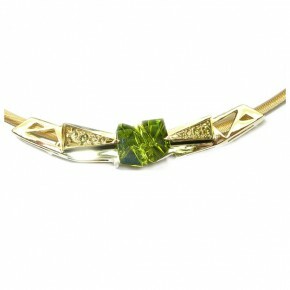 Accented in the center with pave' set brilliant cut diamonds. Pendant bail is set with a .20ct. diamond, with a anchor link style chain.